Welcome to RPM: Revived Performance for Men. Our mission is to provide our patients with the best possible solutions to their erectile dysfunction (ED). At RPM, we understand the life-changing effects of ED, not just the individual physical and emotional consequences but those that can have a significantly detrimental affect personal self esteem as well as our most important intimate relationships. We utilize the GAINSWave treatment protocol for our patients to provide a natural non-pharmaceutical solution to ED, not just a temporary patch. With over 15 years of successful results backed up by numerous peer reviewed journal studies, low intensity shockwave therapy has been proven to provide successful treatment for erectile dysfunction. At RPM we use the GAINSWave procedure along with the addition of PRP therapy to provide our patients the most cutting edge treatment. With these 2 procedures men across the globe have seen tremendous success - and we want that for you!! Sarah Kurts, Board Certified Physician Assistant, graduated with distinction from the University of Virginia and earned her Physician Assistant degree from the University of Colorado Health Sciences Center. 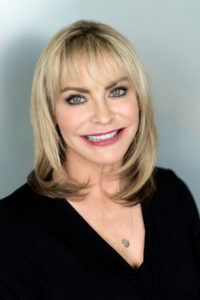 She practiced in general and aesthetic dermatology for over 16 years and has focused exclusively on aesthetics and anti-aging in Denver since 2013. Sarah grew up in Virginia and has lived in Colorado for nearly three decades. She enjoys Lagree Pilates, skiing, cycling, and scuba diving.